We are proud to announce that our Healthy Solutions team won 17 Gold Standard Awards for Excellence based on their performance in 2017. 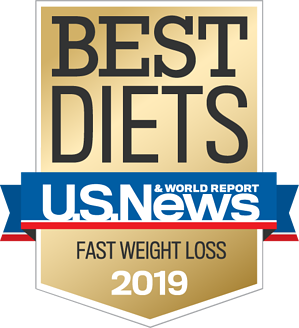 These awards are given out annually by HMR’s National Headquarters, and indicate that our Milestone Clinic was in the top 5% in the nation, out of hundreds of clinics, in 11 separate weight-loss categories. Why choose HMR Healthy Solutions for weight management? It’s time to try the weight-loss program that’s trusted by physicians across the country. With HMR foods, lifestyle education, coaching and medical support – you’ll get results quickly and never go hungry! Feel full, with satisfying weight-loss shakes, entrees, vegetables and fruits. Get complete nutrition, including essential protein, vitamins and minerals. Save money while losing weight by spending less on groceries and restaurant foods. Stay on your weight management plan with easy-to-prepare, portion-controlled foods. In-clinic participants attend a weekly class that provides support and emphasizes the lifestyle changes that lead to success, such as physical activity. And you’ll get long-term support to help maintain your weight loss. For those who can’t make weekly sessions for travel or other reasons, HMR at Home® may be perfect. A three-week Quick Start™ kit will set you on the right path. Sign Up To Learn More About HMR! For more information, complete the form or give us a call at (502) 896-3900.